I've been obsessing over this t-shirt ever since I saw it on Pinterest a few months ago. I wrestled with whether or not to buy it for a lot of reasons, but it was one of those things that I just kept coming back to. Every time it popped up somewhere in my web browsing, I found myself wishing it was already a part of my wardrobe. And you know how much I love a good graphic tee! 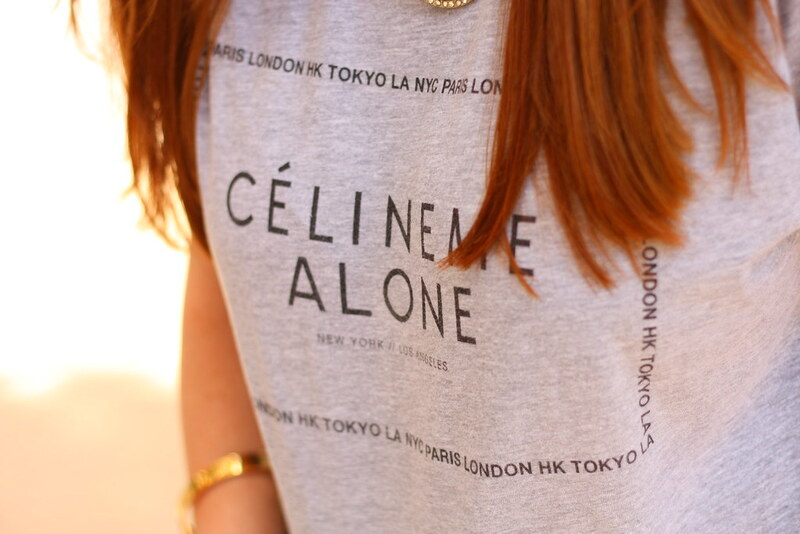 So while it's a little trendy and -- at the risk of being a poseur haha -- I don't actually own a real Céline tee, it's just one of those pieces that I love wearing in different ways over and over again. Add a statement necklace and you have yourself an outfit! 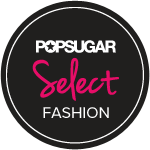 Do you have any pieces in your wardrobe that you felt just a weeeee bit guilty buying but knew you had to have? 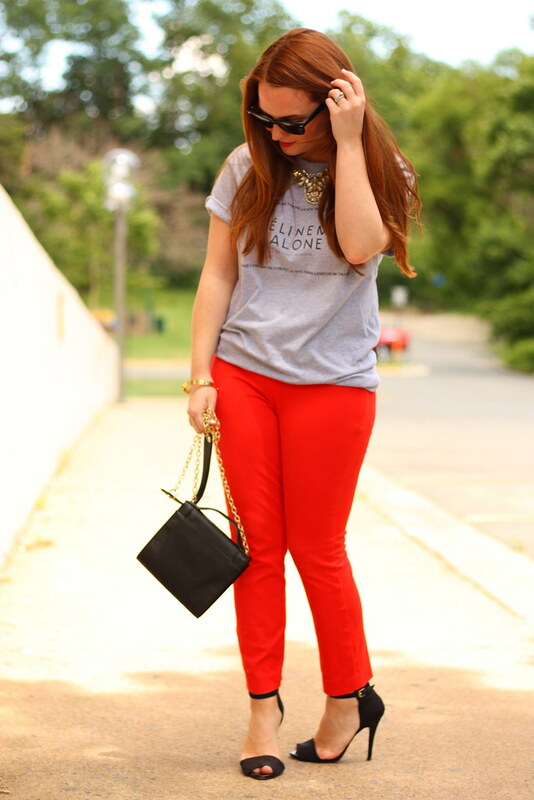 I love taking t-shirts and dressing them up with statement necklaces and fancy pants...you look gorg as always! Love this tee - such a fun piece to dress up or down! Also, these pictures look amazing...did you get a new camera or lens? I love that necklace! I saw when you instagrammed it- it's beyond! I absolutely LOVE this look on you Alison!! Those red pants look SO good on you! Fun top! 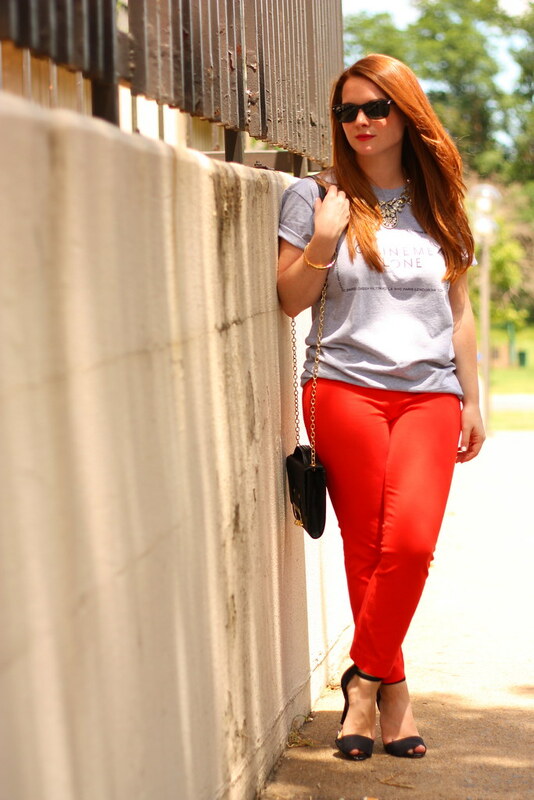 I love pairing t-shirts with heels! My motto is- if you love something, so matter how trendy, just get it & rock it! 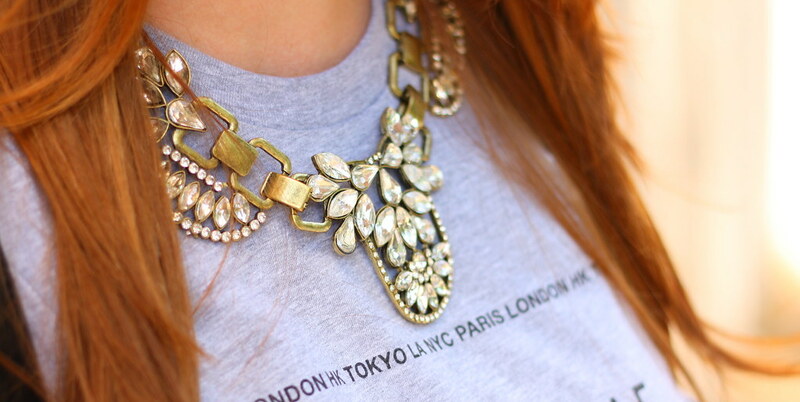 LOVE this look - I need to try the tee/statement necklace combo!